Wine and Spirits retailers are always faced with the need to know as to when to restock any fast-moving or popular items or when to eliminate items that have remained stagnant in inventory. Our POS solution allows retailers’ to adapt to the ever-changing demands of consumers and gives up-to-the-minute information so reordering choices can be made swiftly and accurately with the insight the system provides. 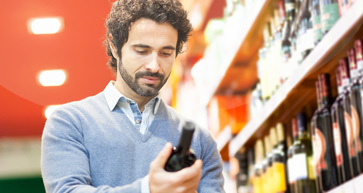 This flexibility solution is a good fit for the wine and spirits retail marketplace. Any small business owner in the liquor arena continuously faces challenges to keep abreast with their larger retail counterparts. Competition is tough and there are too many disparate systems to handle and control. In the meantime, you are constantly trying to generate additional revenue and sales for your store and while making the most of your in-store retail system. RIS will work with you to ensure your next retail management system is affordable, easy-to-implement, flexible and will grow with your business as you become more profitable. Our Wine and Spirits POS solution is designed to help you improve business processes, become profitable and control costs related to implementing new systems for your stores. The tools to optimize your merchandising environment by taking the guess-work out of the decision making process. An integrated point-of-sale and inventory management system to increase efficiency and dramatically reduce costs, using built-in reporting and analytics. A way to breakdown cases of beer and sell by the dozen or 6-pack or perhaps even as singles and maintain complete inventory. A way to maintain tight control and dramatically reduce shrinkage with security and loss prevention features.